Height adjustable PA+ surface box for air valves. Cast iron (EN-GJL-200) lid with standard inscription "AIR VALVE". Other colours and lid inscriptions possible. • Max. carbon footprint: 24 Kg. CO2 eq. Type H-4055 Air valve; fixed height; admittance/discharge of air. 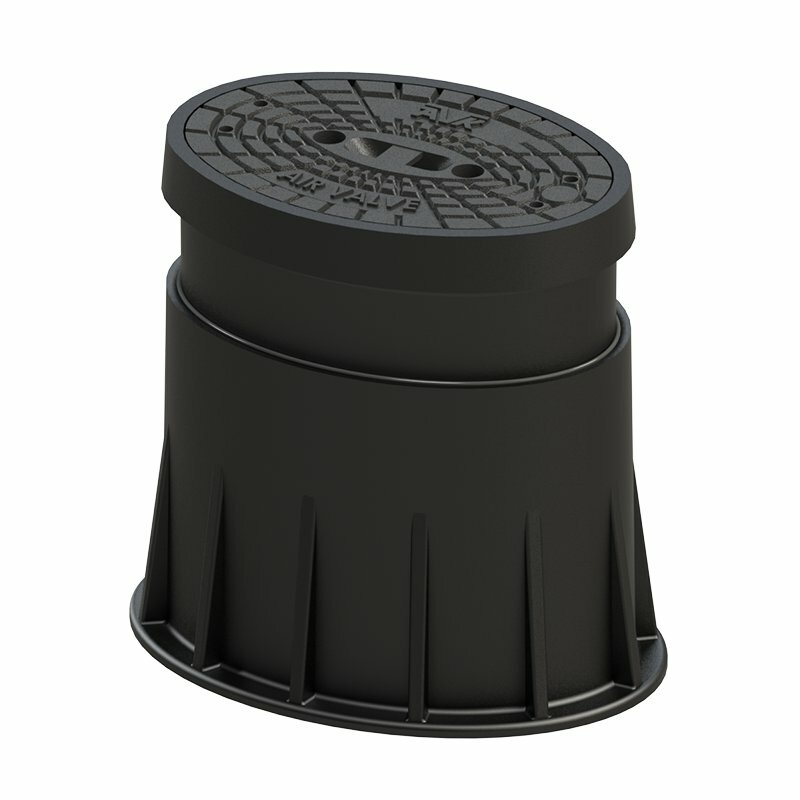 Type M-4055 Air valve; fixed height; admittance/discharge of air.